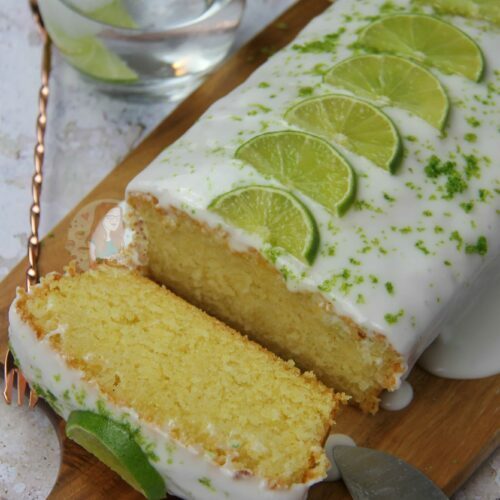 Gin & Tonic Drizzle Cake! 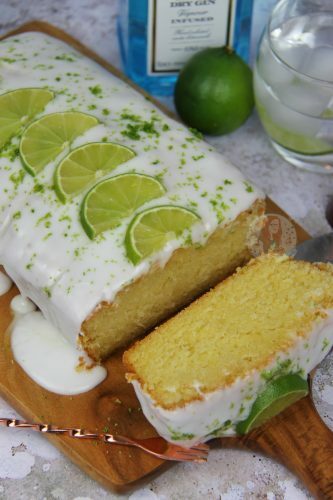 A Deliciously Light, Soft, and flavourful cake based on the wonderful Gin & Tonic. 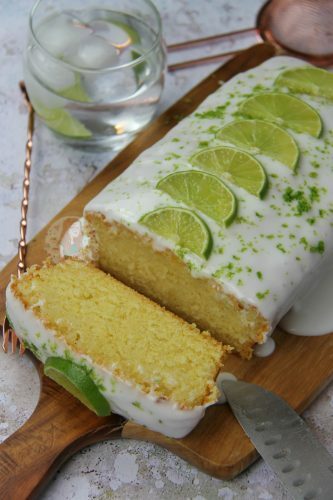 Lime Sponge, Gin & Tonic Drizzle, Gin Icing, and Lime = Gin & Tonic Drizzle Cake! You guys have completely raved about my Gin & Tonic Cupcakes, and my Gin & Tonic Fudge since I posted them. Honestly, I thought they could be reasonably popular, but I am amazed but how they are continually popular day in and day out. 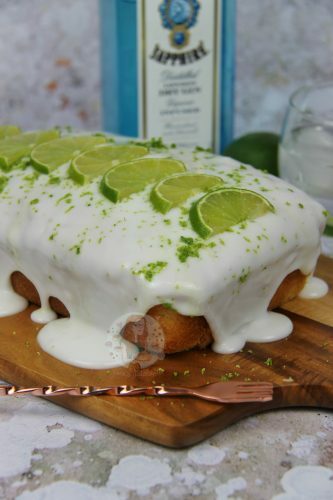 Therefore, when one of my Boyfriends Colleagues suggested a Gin & Tonic Drizzle Cake, I knew it had to happen. It was DELIGHTFUL. I honestly can’t love it any more. I went for simplicity with the Cake part of this recipe, because sometimes simple is best. 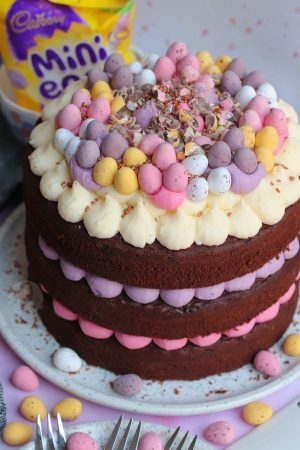 It’s basically a Victoria Sponge type recipe with proportional ingredients for the cake such as the Butter, Sugar, Flour and Eggs. However, I did add in some Lime Zest to give it a little hint of flavour. 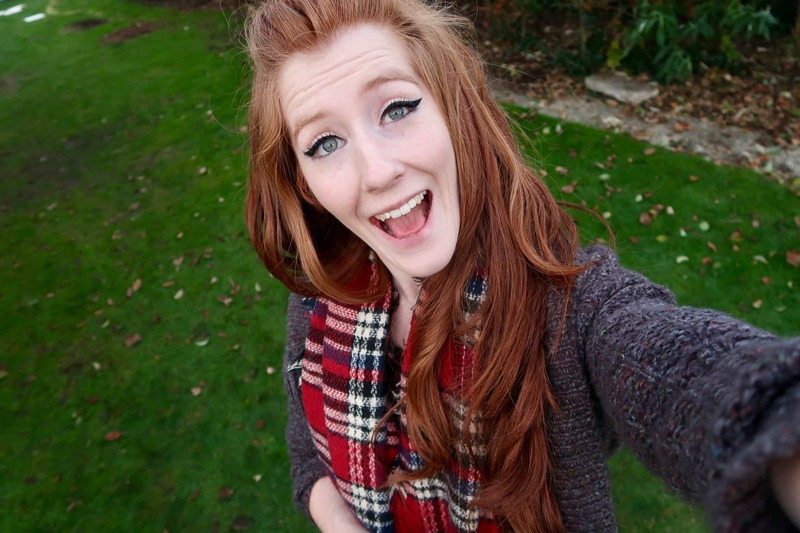 I didn’t want it to be completely plain, but it has just enough in it to give it a bit of flaaaavour. I used a Loaf Cake style tin as I haven’t baked a Loaf Cake in a while, and I thought it would suit this cake! You can easily make it into a different shape or style, or even add the G&T buttercream from my Gin & Tonic Cupcakes, but thats up to you! The Drizzle is really very simple as well. 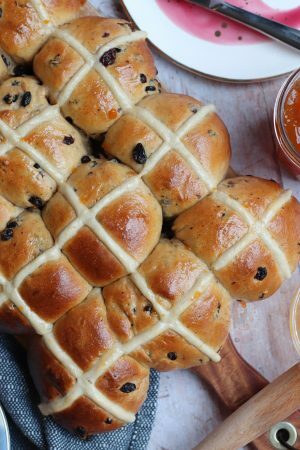 You need the sugar in it to give it a bit of substance, and make it drizzle like (such as you use for Lemon & Lime Drizzle Cake type recipes), otherwise using just Gin and Tonic might make it slightly soggy rather than drizzly. It’s very easy and simple to just dissolve the Sugar into the Gin and the Tonic, and huzzah you’re done. Drizzling it over the cake, and letting it soak in is the painful part, as you just want to eat the cake already! I was wondering whether using Gin in the ‘Water Icing’ would work, but it did! It sort of makes it a sweet Gin flavour, so you definitely have to like Gin to like the Icing. You can of course just use water, but I adore it with the Gin! It’s almost bitter in a weird way, but still sweet. 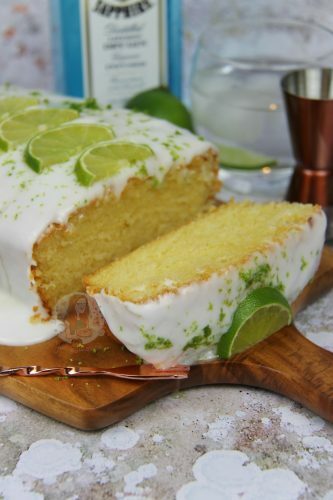 A deliciously light, soft, and flavourful cake based on the wonderful Gin & Tonic. Lime Sponge, Gin & Tonic Drizzle, Gin Icing, and Lime! Cream together your Butter and Caster Sugar until light and fluffy. Add in the Eggs, Flour, and Lime Zest, and beat again till smooth and combined. Pour your cake ingredients into your tin, and bake in the oven for 40-45 minutes. When baked fully, a cake Skewer should come out clean, and the cake shouldn't be making a bubbling sound. Remove the cake from the oven and leave to cool slightly whilst making the drizzle. Add your Caster Sugar, Gin, and Tonic to a small pan. Heat on a Low-Medium whilst stirring, and wait for the sugar to dissolve. Once dissolved, turn off the heat. Poke your cake lightly with a cake skewer/fork, and then drizzle over the drizzle. Leave the cake to cool fully in the tin. Once the cake has cooled, remove it from the tin. In a small bowl, add your Icing Sugar, and gradually mix in the Gin till you get a thick pourable consistency. You don't want it too thin otherwise it will all run off. 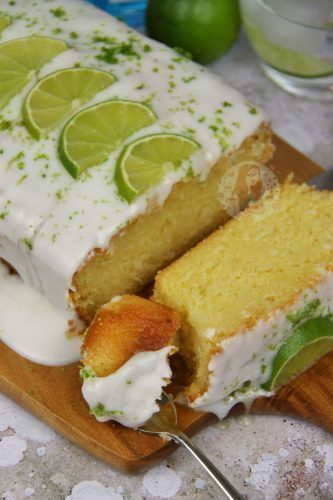 Pour the Icing over the cake, and sprinkle over some lime zest, and then add some lime slices for more decoration. Sometimes, the cakes can take longer than the time stated due to oven temperatures and such. Keep an eye on it, but make sure to look for the clean skewer and no bubbling sounds for when its done! I used Bombay Sapphire Gin for this one, but you can use any! A stronger flavoured gin is better, but any will do! You don't have to use Lime in this recipe either, or you can use a different flavour, I just love Lime with Gin! Older Next post: Lemon Raspberry Posset! Newer Previous post: Reese’s Peanut Butter Cupcakes! Hi, just wondering how this would work with dark rum and coke instead of g&t? Would the drizzle still need sugar added or would the coke take care of that? I wouldn’t know I’m afraid, sorry! Looks amazing can’t wait to get started! Could I put in 8 round tin or would this mess up all the measurements and look flat?? I am so glad I’ve found this site. I’ve made several Gin and Tonic cakes and this has to be the best by far. I love that you don’t use baking powder as I always find I can taste it no matter now little I use. The sponge was beautifully light and really scrummy. Everyone who ate it loved it. I used Rhubarb and Ginger Gin and put lime zest within the cake and in the drizzle and topping. Gonna try the Vanilla cake for my friends birthday. Can I ask what quantity you would use of the G & T flavouring in the drizzle and Icing please. Just making it now for the first time and its in the oven nearly done! 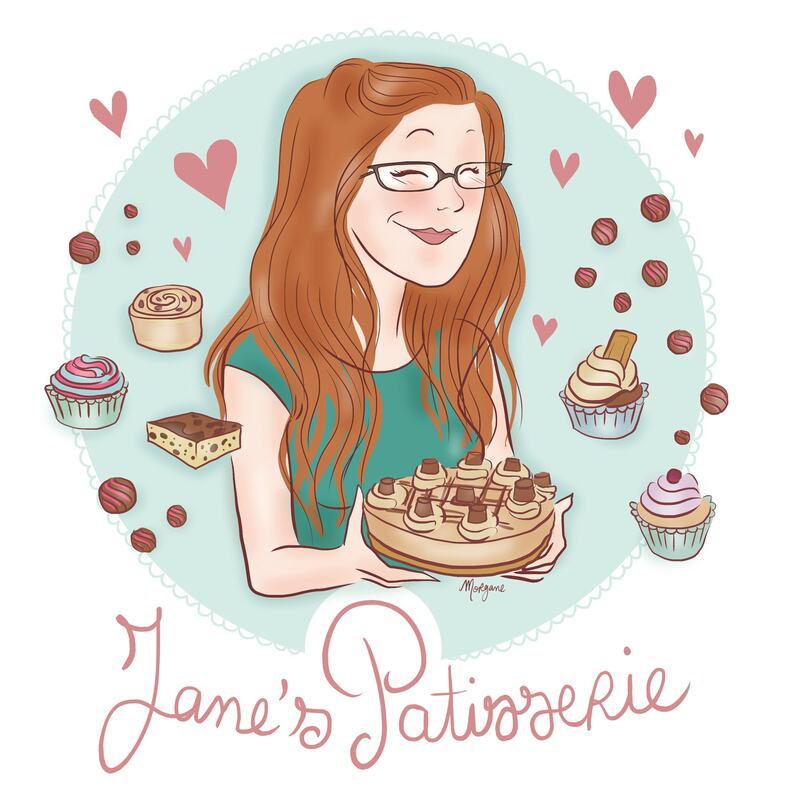 It depends entirely on how strong you like it – I’ve not made the drizzle with the flavouring before but I imagine it would be 1tsp for each?! This cake looks amazing. 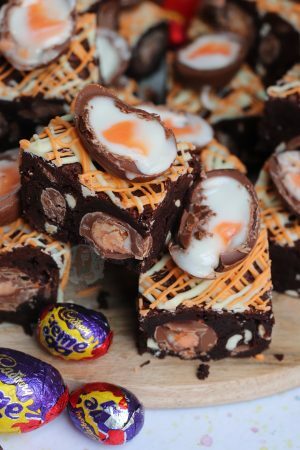 I want to make it for a charity bake sale, but I’m not a baker at all!!! Can the cake be make a day before icing? Or would that ruin the cake? How long would it stay fresh for? Sorry for all the questions. Thank you for your amazing page. Thank you!! Yes you can make it and then decorate it another day, but I would recommend doing the drizzle on the day of baking so it soaks in properly! Cakes are usually good for 3-4 days. Went down a treat at our recent macmillan coffee morning, so light and moist. Think I’ll definitely be making this again! Ahh yay! I’m glad you liked it!! What , if anything , can I use to substitute the Gin? I’ve not personally used a different alcohol, but I assume similar so Rum or Vodka? Went down a treat at a charity bake sale!! Thank you for creating and sharing! Do you think pink gin will work? I’m sure it would! The pink colouring probably won’t come through though! OOh beat me to it, I was scrolling down to see if anyone would ask that, as I can only get the Pink Gin and Tonic in a tin at tesco. Can you exchange the gin and tonic for gin and tonic flavouring that you used when you made gin and tonic fudge? Would you need to change the quantity? If so, how much by? Not sure what happened but my cake has been in the oven about an hour and it’s still not cooked? Oven is on the right setting and ingredients the same. Once this is made do I leave it in the fridge ? As I’m making it Tomorrow ready for Thursday? I buy large free range eggs from the market. They are much bigger than the large supermarket eggs. Would you recommemd 4 and not 5? Yes that would be ideal! This cake looks amazing, would it work if I swapped out the Bombay Sapphire Gin for some Edinburgh Rhubarb and Ginger Gin Liqueur? You could definitely try it but I’m not sure how well the flavour will come through?! I was wondering the same. How did it turn out? It was fantastic – My mum loved it! It might taste a little salty. This looks lovely. My husband would love it!